HTTP ⋆ 100% Private Proxies - Fast, Anonymous, Quality, Unlimited USA Private Proxy! Мне нужно из него вытащить значение 0. Подскажите, пожалуйста, как это сделать с помощью http запроса в Java? Мучаюсь уже пару часов, не могу найти ответ. Now if I access the website from http it redirects to https, BUT once I’m on the https site I get an error from Chrome saying “ERR_SSL_PROTOCOL_ERROR”. Can somebody help? We currently have two legacy systems: the Consumer and the Worker. These systems are massively complex in ways that are not important to this review, but it is enough to say that a large-scale re-development of these systems is not currently possible. The Consumer communicates with the Worker via http request/response. The request/response nature of this setup is critical and non-negotiable; this is really the whole purpose of this review. There is no opportunity to use (for example) notifications or events to solve this problem. The Worker’s task of processing the request may be long (or longish) running, and returns a response when complete. Now, the problem: the actual work that the Worker does has resource constraints, and allowing an unlimited number of “jobs” to be processed concurrently is problematic. What we need to do is introduce a way to queue up requests and feed them to the Worker in a measured, predictable way. Our solution is to introduce a “Queue Service” in between the Consumer and the Worker. This will be a physical, singular service that acts as a pass-through, with its only other responsibility being to manage the Worker’s load. 1. 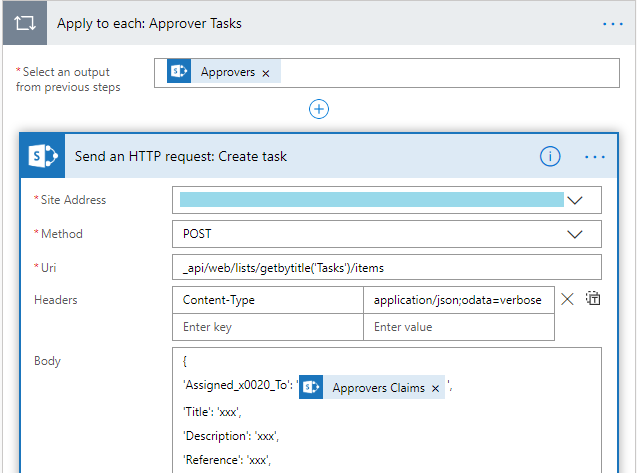 The Queue Service will consist of custom code to queue, prioritize and feed the work to the Worker (out-of-box solutions like Gateways are not viable options). 2. The Queue Service will be asynchronous to avoid thread starvation when there are many http requests in flight. To be clear, the idea is that the request remains active even if the work gets put into queue and has to wait. In the code below, I am trying to prove that this is possible by signaling using the TaskCompletionSource construct. There are all kinds of shortcuts/simplifications in this code–the main question is whether this technique is viable to keep the request alive until a separate process signals its completion (and provides a result). Client’s iptables rules are default. I’ve found out that the only website I can connect to is example.com (however it isn’t because of HTTP instead of HTTPS, I can’t connect to both HTTP and HTTPS servers). What are the possible causes of this situation? Estoy creando un codigo de formulario con un POST con animo de aprender, el formulario esta funcionando correctamente pero una vez los datos se han pasado al POST el codigo PHP no llega a ejecutarse dando un error 500. He hecho un par de pruebas mediante echos y el codigo funciona bien hasta la insercion en el mysql. when I try to connect to some websites using http:// (notice the absence of s) , my client end up with https://. I use python requests for this purpose, which simulate a client behavior. It performs the redirection and show me the final URL after redirection, if any. Example: when I input http://facebook.com the get requets end up at https://facebook.com. Does this mean the website DOES NOT accept http:// requests? 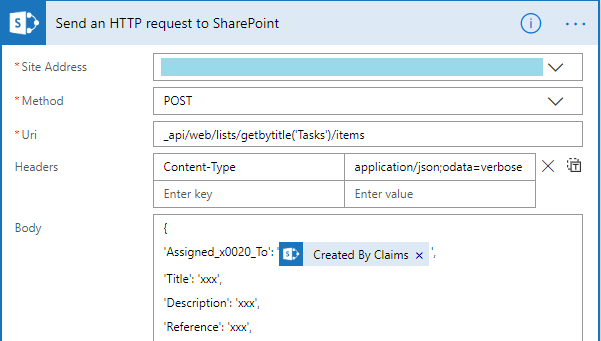 I’ve been playing with Flow: Send HTTP Request to SharePoint to create items in a list. Everything works great until I include the Person field: Assigned To. Looking at the list item XML I see Assigned_x0020_ToId, so I guess I need to pass the numeric ID of the person. Do I need a step prior to resolve the user or look up their id? FYI, I would have just used the available Create Item but Flow seems to ignore site column lookups. I’m working on a project (studying) and I have a lot of time for proof of concepts and write something from scratch. Basically I’m creating a Http Server (simple, but not too simple) in C++ using sockets and multi-threading. There are two topics that I’m concerned about: the design pattern of my code structure and the efficiency of my thread implementation. Obs: a little worried about C++ best practices, since I’m diving too fast into C++ (Am I abusing of std items?, since this require a low-level implementation). Server is the main file, that calls Routes, Request and Response. Request and Response contains Struct (that contains Status Code). 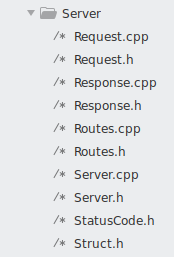 And Routes contains Request and Response. IMPORTANT: I’m using nlohmann/json (https://github.com/nlohmann/json) and j-ulrich status-codes (https://github.com/j-ulrich/http-status-codes-cpp). So, what can be done to improve my code in terms of optimization and efficiency?